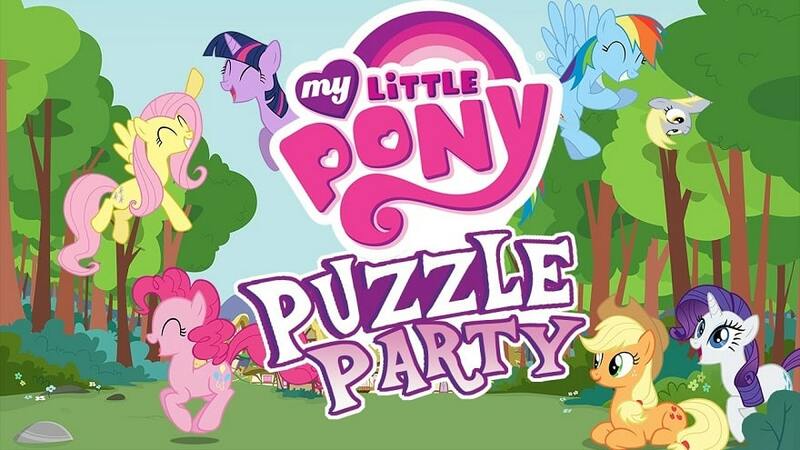 My Little Pony: Puzzle Party is a puzzle game developed by Backflip Studios, Inc., and it’s compatible with Android and iOS devices. The Match 3 game can also be played on a PC or MAC with the help of an Android emulator. Concerning the play, the game requires you to travel through magical worlds as you win puzzle challenges and compete with your friends. You can only remove two similar connected blocks at a time, but you can use things like Pony Power-Ups to remove more than two blocks per move. Like any other matching game, the moves are limited, so you need to match many blocks before removing them. The Power-Ups are usually limited, and it is advisable to use them in tougher levels. When you match five blocks, a lightning bolt will appear and wipe out the entire column or row. When you match seven blocks, a cauldron will become available to remove all the connected blocks. When you match nine blocks, parasprites will appear and spread across the board taking out matching blocks. My Little Pony: Puzzle Party comes with obstacles such as clouds and barrels that you need to remove first in order to progress smoothly. When dealing with colored blocks, you can concentrate more on matching them than removing the obstacles. This is because dealing with the two challenges will really reduce your progress. When you see the ponies, you need to tap on them to use their powers. Unlocking more ponies means getting more power to match and remove blocks, stay longer in the game and move higher in the levels. In order to get more ponies, you need to play the game regularly and complete as many levels as possible. As mentioned above, you need to use Power-Ups when you are really stuck! The “anytime” Power-Ups are available for use at any moment and you can tap on them to boost your game. Some Power-Ups like Applejack can only be used in certain levels even when the power meters are filled up. If you concentrate more on matching matches from the board bottom, you will regularly come across blocks that are easy to match or special pieces to remove blocks. However, when you have matching blocks on the top and also at the bottom, it is advisable to remove the top ones first to avoid shifts that can disrupt the other matching blocks. The best levels to replay are the ones with one or two stars. Look for these levels and play them again to earn more stars and consequently more checkpoints. Replaying levels will not only earn you checkpoints but also some more playing experience. You can connect your game to Facebook and add friends which can help you learn some playing tips, tricks and strategies. When it comes to the ad videos, you can watch them and add coins and other valuables. You need to install an Android emulator on your desktop or laptop to download the game on your computer. When playing the puzzle game on your PC, you will enjoy better viewing and improved control. 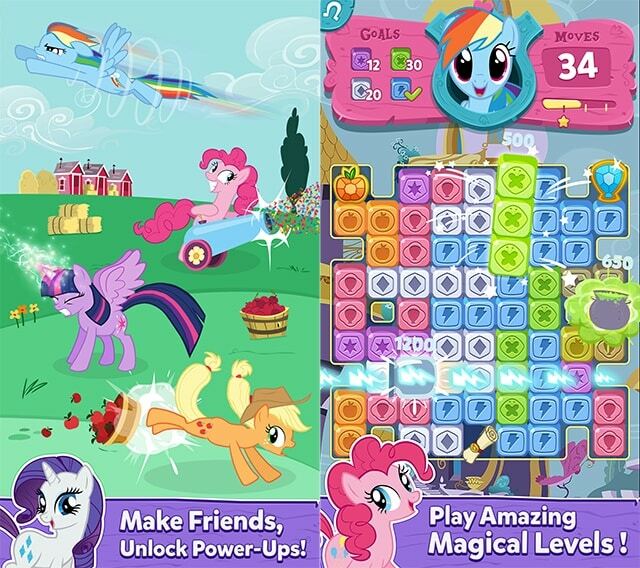 Warning: My Little Pony: Puzzle Party servers shutted down and it is been removed from iOS and Google Android App Stores! Sometimes when playing My Little Pony: Puzzle Party, bluestacks ask you fee to pay but gives you option to download some apps. Every time it asks you just select “Install apps” and continue using it free. I hope you enjoyed this article, please rate and share. 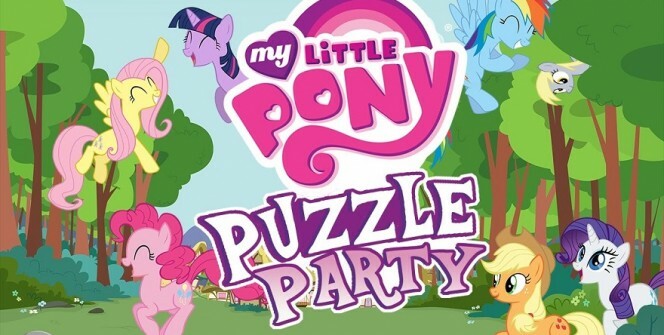 If you have problems running My Little Pony: Puzzle Party on desktop or any other issues, leave a comment below.